Alex McLeish is appointed in January as Walter Smith's successor but has to wait until March for Scotland's Euro 2008 campaign to restart. The Scots make it four wins from five when substitute Craig Beattie scores the winner in the 88th minute. Four days later Scotland come crashing down to earth. 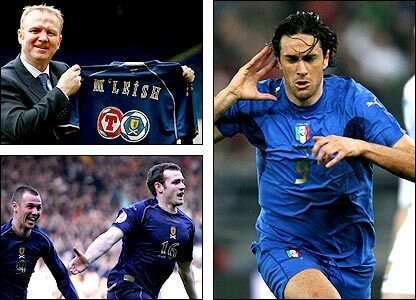 Scotland fall to two Luca Toni headers - but they stay top of Group B, albeit in a three-way tie with Ukraine and France. Ominously, World Cup winners Italy are now just a point behind.